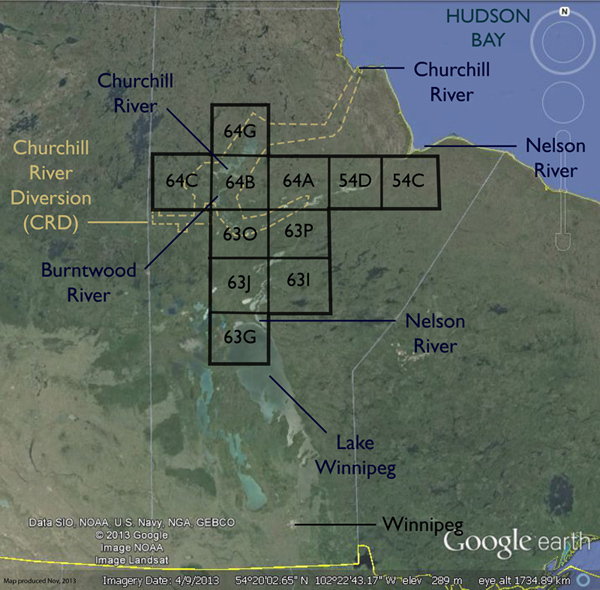 DPI Territorial worked with the Peguis First Nation in Manitoba and a Winnipeg-based environmental services group to conduct a unique spatial, quantitative and temporal analysis of historical land and water change over time in northern Manitoba. The project involved obtaining historical maps of lake and river shorelines across large portions of the Nelson, Burntwood and Churchill River catchment areas. These historic maps were digitized, georeferenced and compared to GIS-based maps of current shorelines, particularly around hydroelectric developments developments, to assess any changes resulting from dams and diversions over the last century. Key map showing the study area in northern Manitoba. 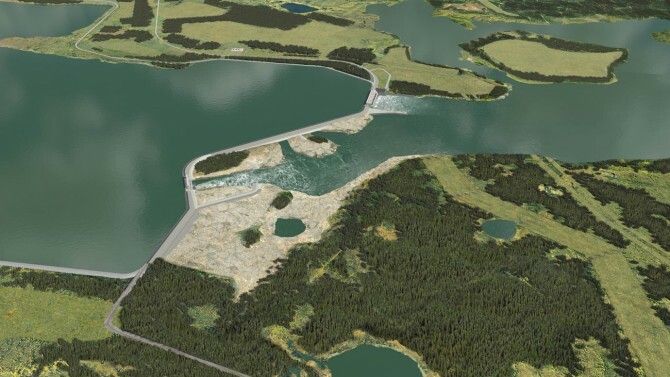 The analysis shows how decades of incremental changes caused by hydroelectric energy projects throughout connected water courses have resulted in system-wide, cumulate impacts such as inundation and in some areas, dewatering. In total, the analysis identified 1,350 km2 of inundated lands and 10 km2 of dewatered lands. 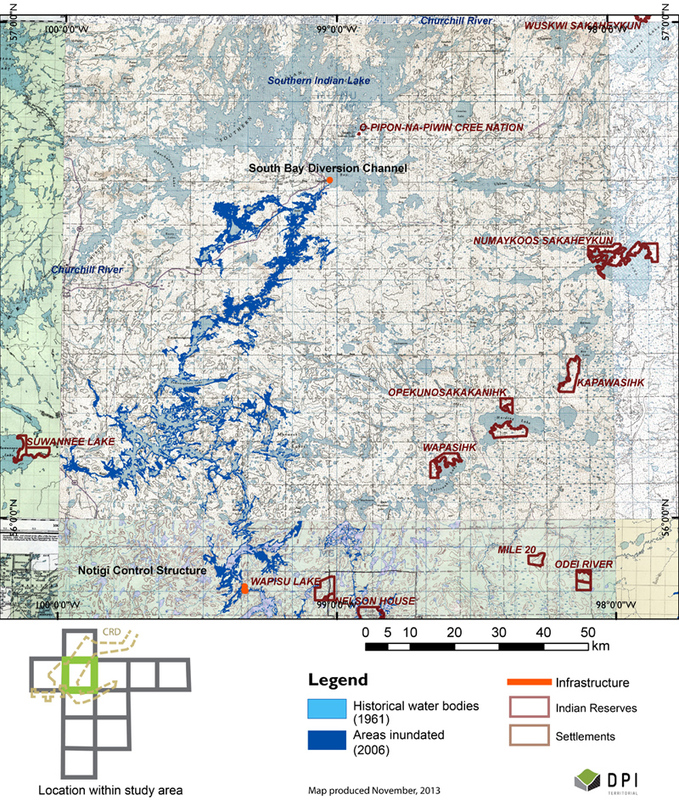 The analysis is a clear demonstration of how incremental hydro development in Manitoba is so systemic that the impact of any one development of project must be considered in the context of numerous others that are part of this connected, heavily manipulated hydrological system. This work was presented as evidence during the review of the proposed Keeyask Generating Station. The hearings took place in November, 2013, and DPI co-founder David Flanders served as an expert witness as part of this review process. Results of the analysis in the area around the Churchill River diversion.